Spector Made Deus Ex to "Shame His Peers"
Legendary designer Warren Spector says a desire to "shame his peers" into thinking about new ways to make games inspired him to create Deus Ex, in which both combat and stealth are viable play styles. Warren Spector has an impressive list of credits to his name but the one he is perhaps best known for is the 2001 masterpiece Deus Ex. One of the most noteworthy aspects of the game, aside from the muddy graphics, poor character animations and horrible voice acting, is the way it lets players approach nearly every situation in different ways. Charging through the front door with a rocket launcher or sneaking in the back with a taser are equally effective approaches to almost everything in the game. He was inspired to build that kind of flexibility into Deus Ex, he told Xbox World 360 (via CVG), because he was "so frustrated by Thief." 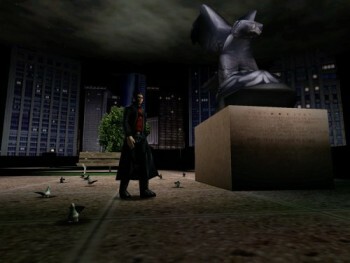 Spector worked briefly on the Looking Glass Studios classic Thief: The Dark Project before joining John Romero at Ion Storm, where he created Deus Ex. "Deus Ex exists today because I said, 'I'm going to show these guys that I can make a game where you can sneak and fight and make it work'," Spector said. "One of my goals for Deus Ex was - and I used to think about it this way - 'I want to shame developers; I want to shame my peers and force them to make different kinds of games'." CVG wrote that Spector's frustration arose from the way Thief "forced players into combat," but I think the opposite is actually true: the protagonist in Thief was such a delicate flower that players were almost forced to stay out of combat, and any confrontation that spiraled into more than a two-on-one fight was just about a guaranteed reload. The potential for frustration was still very real - some gamers prefer a straight fight to all that sneaking around, after all - but I'm pretty sure CVG has it backwards here. I'm also not sure that I go along with Spector's implication that all games need to cater to all gamers. Then again, Warren Spector made Deus Ex and I, well, I just played it, so take that for what it's worth.